Rev. 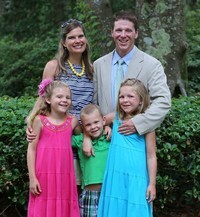 Eric Hollar began his ministry among us on November 23, 2008, as our Associate Pastor of Outreach. Pastor Eric is passionate about life because he realizes he has a God who is passionate about him. 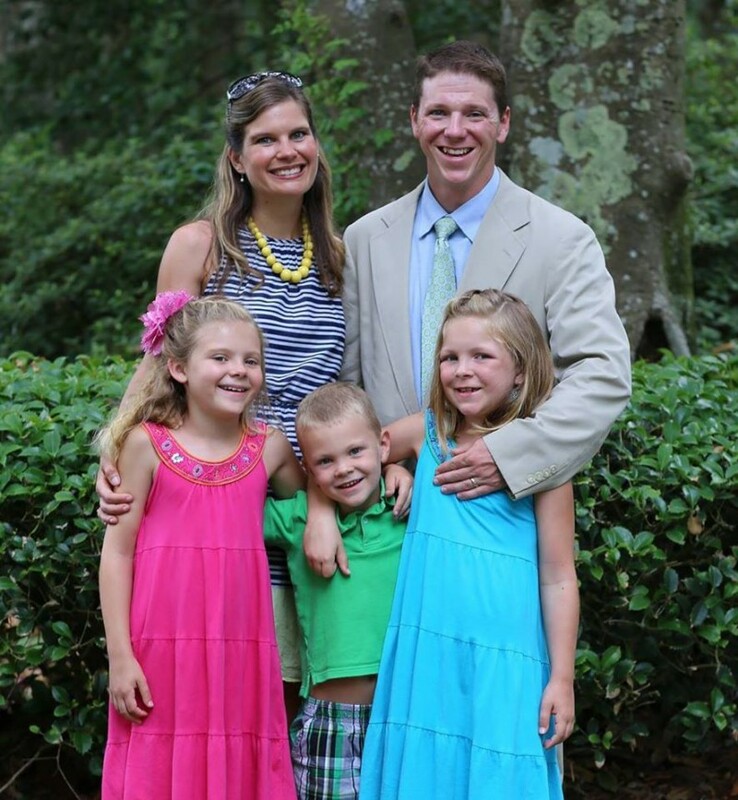 Pastor Eric grew up at Bethel and graduated from Bunker Hill High School in 1995. From there he went onto Valparaiso University (Hail Crusaders!) where he studied Theology and minored in Classics. While there God made it clear to him through various experiences, including the death of his best friend - Kyle Carson - that full-time ministry is where he needed to be. So, in the Fall of '99, he began attending Concordia Seminary St. Louis, MO. While studying and digging deeper into God's Word, a friend at the seminary introduced him to Corinna Malenke. They dated long-distance (from St. Louis to NC; then Warner Robins, GA o NC) for 19 months. At the end of his vicarage (internship), on August 10, 2002, they were married at Bethel. In May of 2003, Pastor Eric received his first Call into the ministry to Lutheran Church of the Good Shepherd in Biloxi, MS where he served until returning to Bethel in 2008. During his ministry there he was blessed with lots of ministry opportunities that included working with some wonderful people at Good Shepherd as well as in the community through his work as a Chaplain to the Biloxi High Football Team and Good Shepherd's extensive Disaster Response Ministry in the aftermath of Hurricane Katrina in 2005. Pastor Eric's responsibilities at Bethel are some of the traditional preaching and teaching opportunities as well as leading the congregation in their outreach and missions. He has been blessed to be a volunteer coach for the BHHS Football team and the Boys and Girls Basketball teams as well as serves as the Fellowship of Christian Athletes coordinator at BHHS. In addition, Pastor Eric leads Bethel's disaster response ministries aka "Bethel's Chainsaw Ministry" and their missions to Haiti. While the above appears to be a lot of ministry activity - his passion is to encourage people to simply live love(d). In other words, live as you are loved by Jesus(because you are!) and share that love with all you meet. He attempts to model this through all does, especially as a husband to Corinna and father to Moriah, Christiana, and Carson. Morgan began his ministry with us on March 16th, 2015. Morgan was born in Hickory, NC and was raised right here in Catawba County. He graduated from Newton-Conover High School and attended Lenoir-Rhyne University in Hickory, NC where he earned a degree in Sacred Music with a concentration in Organ. Some of his teachers include Florence Jowers, Robert Smith, and Frances Whitener. Morgan began the Specific Ministry Pastor program through Concordia Seminary, St. Louis in the Fall of 2018, He now serves Bethel as their Vicar (pastor-in-training) for 2 years before being certified and ordained. Morgan met his wife Sara Scronce at a fundraiser event for the Green Room Community Theatre in 2011 and they were married at St. Paul Lutheran Church in December 2012. Together they have a daughter, Norrie, who was born on July 17, 2016. Morgan previously served Bethlehem Lutheran Church ELCA in Hickory, NC, and St. James Lutheran Church in Newton, NC. "St. Augustine once wrote, 'When we sing, we pray twice!' and St. Paul tells us to "pray without ceasing". What better way to unite our hearts in prayer than to sing to the One True God!" says Morgan. "The Divine Liturgy is filled with music. The tradition of music is what I feel makes us distinctly Lutheran." Some of Morgan's hobbies include reading, computer tinkering, and graphic design.